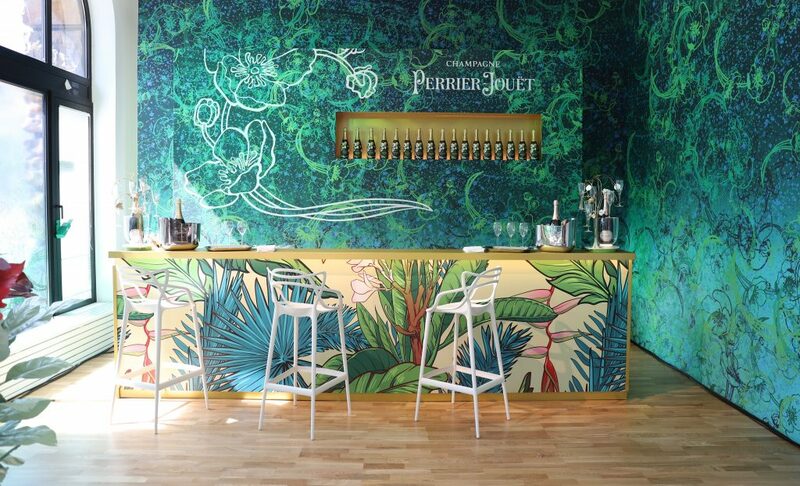 The Eden by Perrier-Jouët, is a most fascinating place I visited in Munich last week. 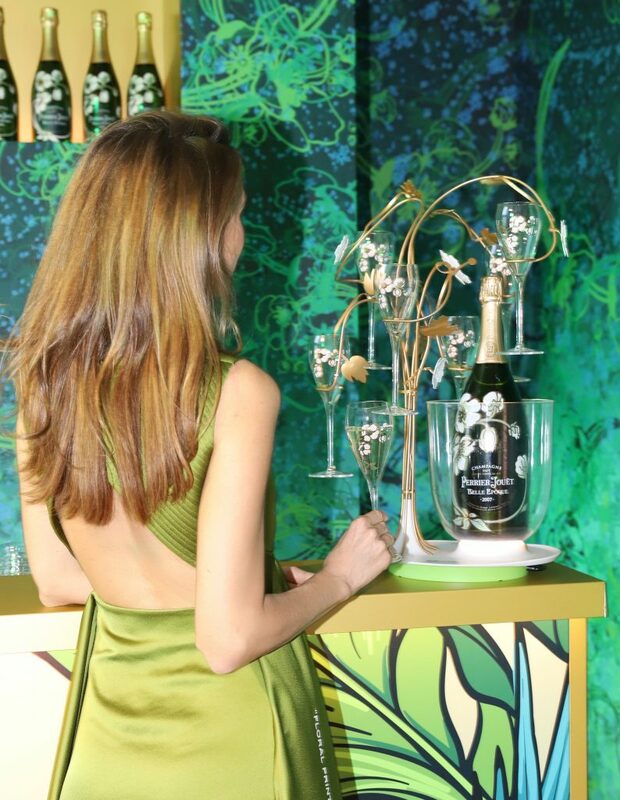 After hosting this event in Miami and Tokyo the famous Champagne house transformed Munich into an urban jungle, all under the motto “Art of the Wild”. And I must say, entering the stunning location at Lenbachplatz 6 was like entering a whole new world. The wilderness and great atmosphere was created through an amazing mix of digital art and wild nature. 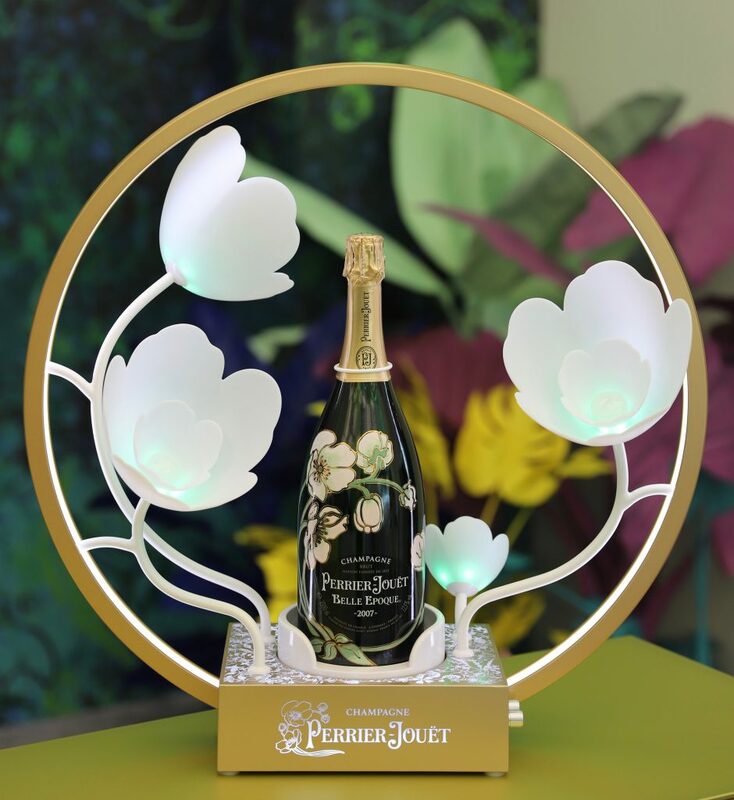 Perrier-Jouët and the art team “Luftwerk” managed to design a paradise garden, by using a fantastic light installation and beautiful elements from nature. 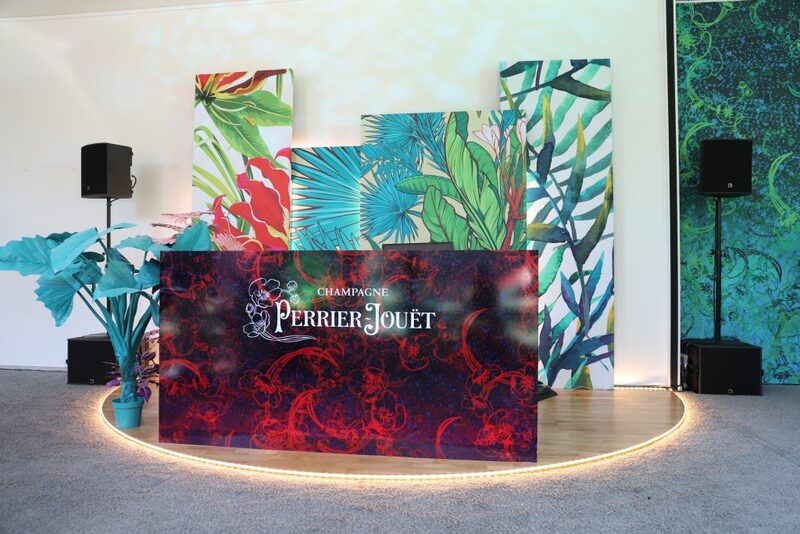 The artists Petra Bachmaier from Munich and Sean Gallero from New York, the team of “Luftwerk” followed the love of nature and art of Perrier-Jouët and created this paradise. 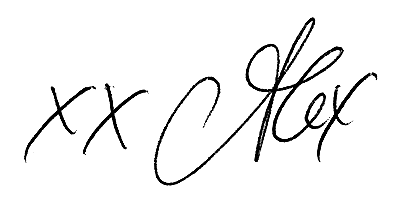 When you look at my pictures you can get a great impression of what I am talking of. 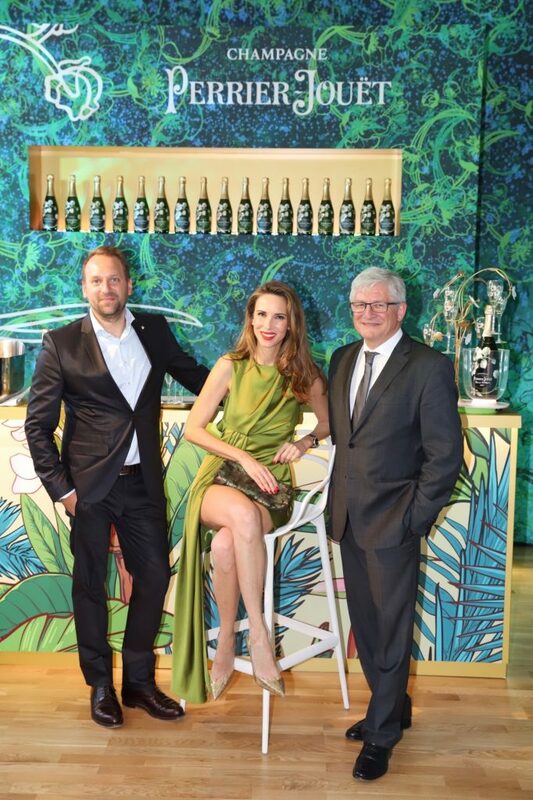 My wilderness tour at the Eden by Perrier-Jouët started with a very interesting press conference in the morning where I had the great opportunity to visit the grand location before it was opened for the event in the evening. 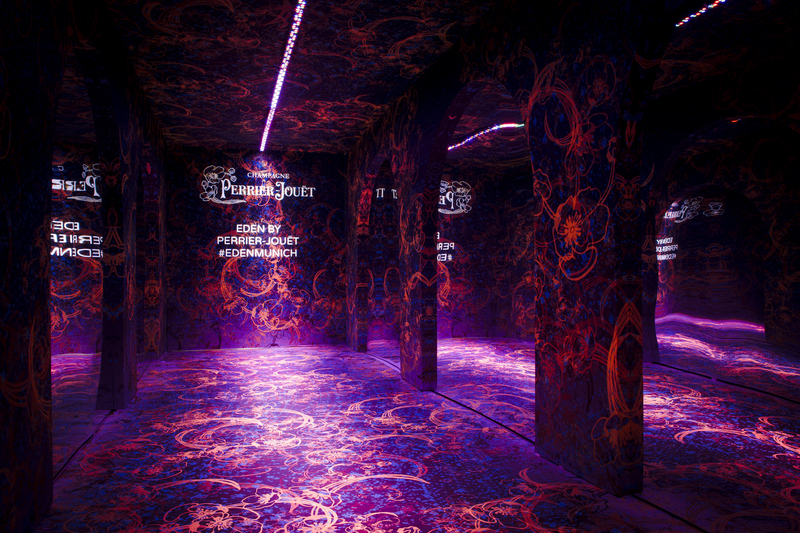 I had the lucky chance to check out all details of this wild and beautiful atmosphere, that was inspired by the iconic Anemone motive and the wine cellars in Epernay. 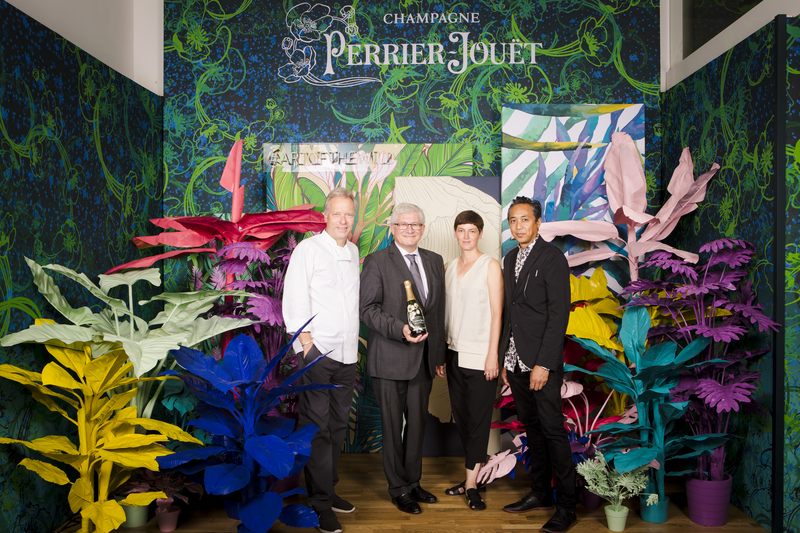 In the evening a small and well selected group of guests was invited to the Eden by Perrier-Jouët dinner. The wild night began and we were spoilt by the generous host so much, it felt like being in Champagne heaven. The event took place on three different floors, all offering amazing surprises. We were invited on a Virtual Reality tour, that brought us straight to the wine cellar of the Champagne house in Epernay. The dinner was a creation by the famous 2 star cook Bobby Bräuer, who served a champagne dinner that harmonized perfectly with the luxurious drinks – I can speak of a culinary excursion at its best. Every bite exploded in the mouth! 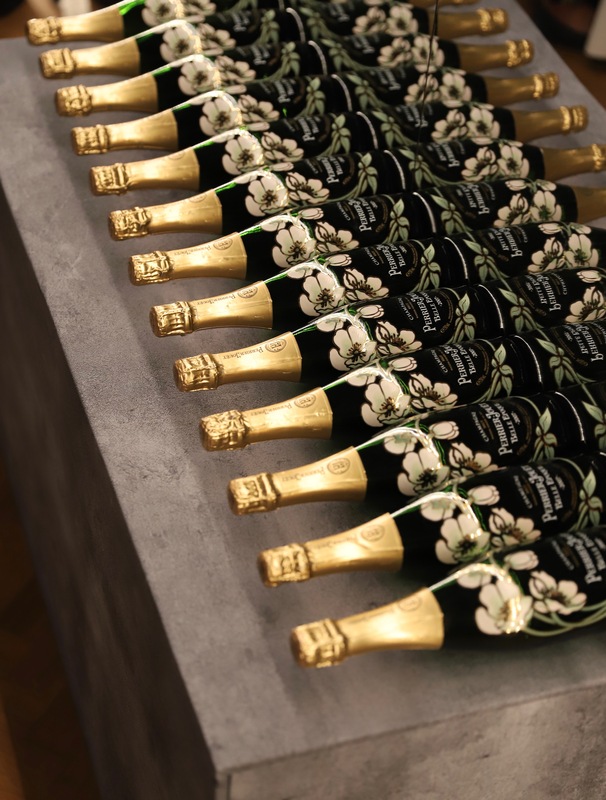 A unique Champagne-dinner combined most exclusive ingredients from the star cook with the fine creations of Chef de Carve Hervé Deschamps, such as the Blanc de Blanc and Belle Epoque from Perrier-Jouët. What a superb adventure, travelling to an urban jungle in Munich and being able to taste all these delicious components and enjoying urban sounds. 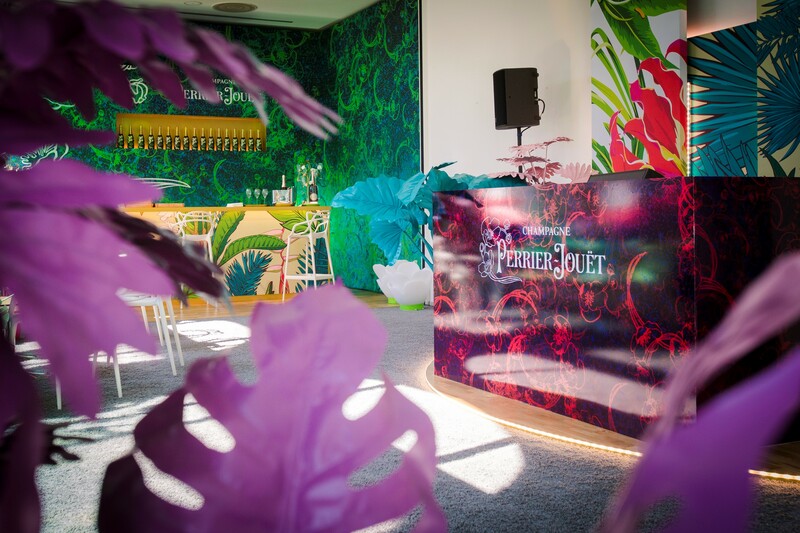 If you’re in Munich you have to visit the Pop-up Champagne Bar Eden by Perrier-Jouët which will be open until Sunday the 29th of July, from 6pm – 2am at Lenbachplatz 6, 80333 Munich. 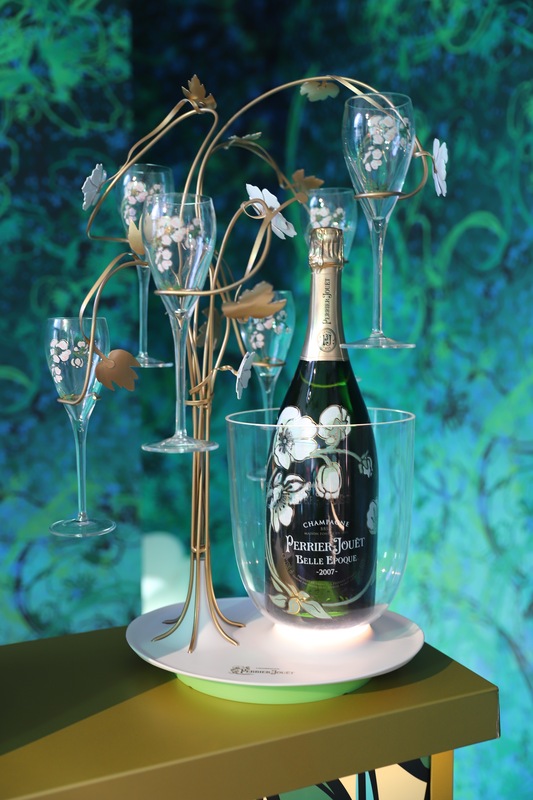 You will have the chance to taste Hervé Deschamps newest Perrier-Jouet Blanc de Blanc and the iconic Belle Epoque. 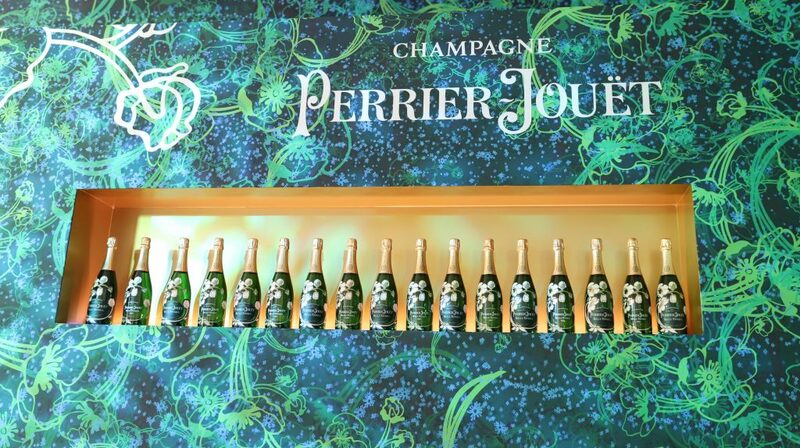 Thanks for inviting me to Eden by Perrier-Jouet and for letting me be part of this luxurious and delicious world.